Neal Birnberg, a great friend and supporter of Lexington youth basketball, passed away in early 2014. Neal coached and managed teams in LYBA for many years and was truly committed to youth sports. He had a special love for the game of basketball and was a dedicated volunteer, giving his time and energy in so many ways to LYBA. Whether acting as a coach, manager, score keeper, team photographer or a very proud Dad, Neal’s enthusiasm and commitment to LYBA was always centered on providing all of the kids with the best experience possible. Neal's wife Jean and his kids Andrew, Catie and LYBA players Adam and Charlie survive him. Our thoughts and prayers remain with the Birnbergs always. 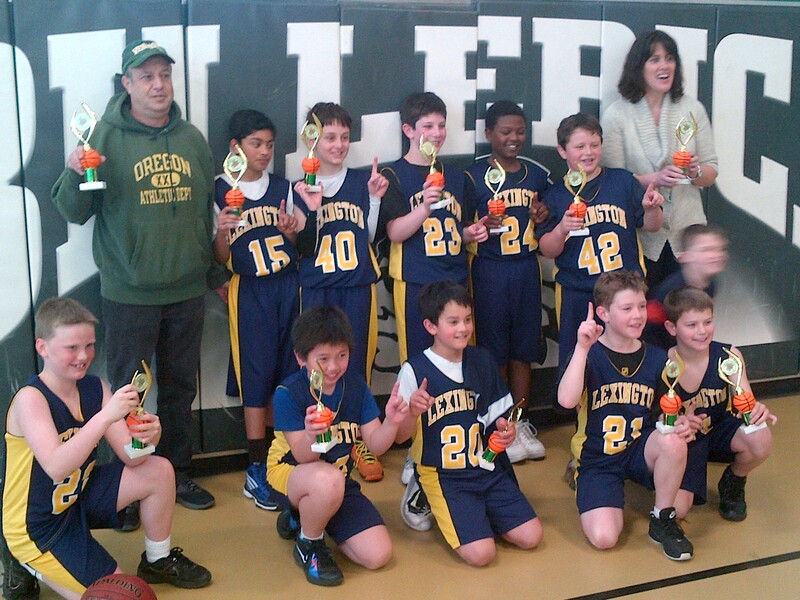 Pictured: Coach Birnberg and Coach Tibbles and LYBA 5th Grade A Team, 2011-12 Season at Billerica Shamrock end-of-season Tourney. They cranked. In honor of his memory, LYBA has established the Neal Birnberg Memorial Fund. The money donated to this fund will be used to provide scholarships and financial assistance for any athlete that would love to participate in LYBA but would find it challenging to pay. Please contact Carrie Tibbles if you have any questions about the fund, would like to donate, or if you know an athlete that could benefit from a scholarship. Thank you for your support.